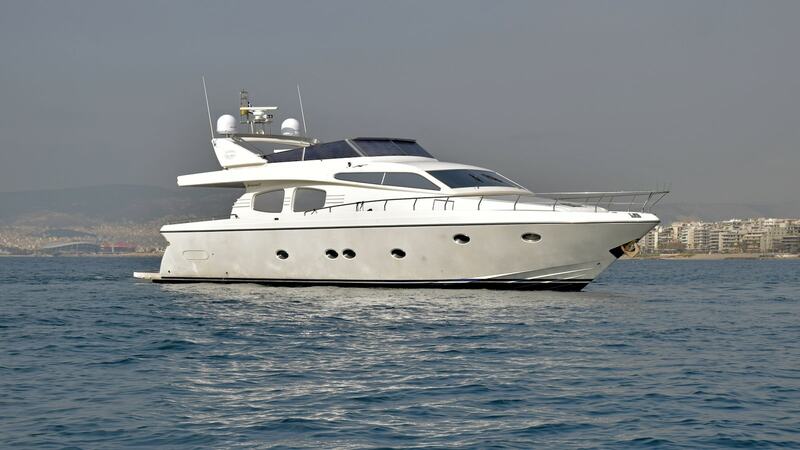 Posillipo 65 can accommodate up to 7 guests in 3 luxurious cabins including a Master cabin, a VIP and one Twin cabin(additional Pullman), each with ensuite bathrooms. Her salon boasts a large lounge area with an indoor dining table, next to the bridge. Her aft deck is extremely spacious for her size, with a table and couch seating area perfect for al fresco dining. The swimming platform is easily accessible by stairs on either side of the yacht from the Aft deck where guests can also enjoy sunbathing. The sundeck is another wonderful entertaining area for all the guests including two large sun mattresses and a barbecue.